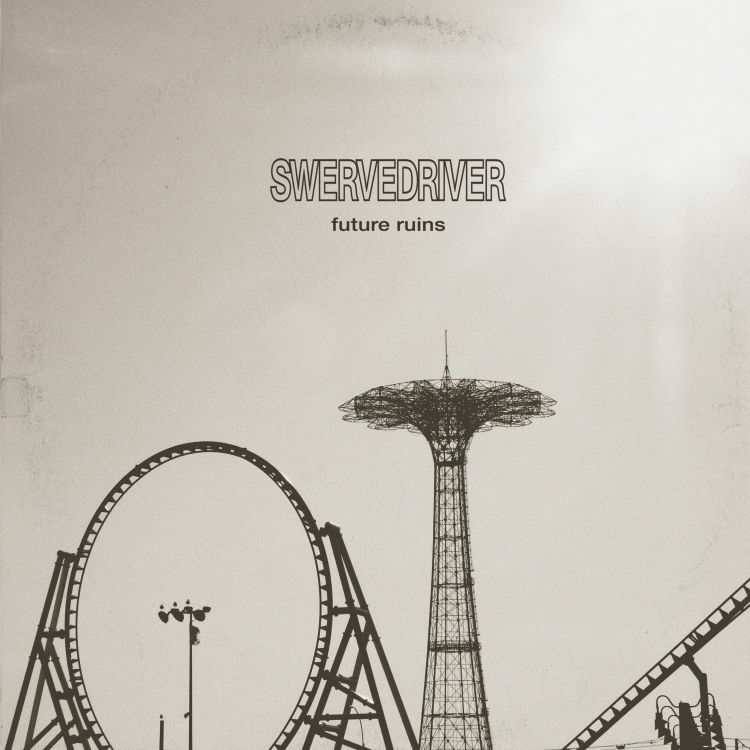 Am Freitag (25.01.19) erscheint das neue Album Future Ruins der legendären 90er Alternative-Rock-Band SWERVEDRIVER, die sich 2015 mit ihrem fünften Album I Wasn’t Born To Lose You nach 17 Jahren eindrucksvoll zurückmeldete. We were thinking, which recorded sounds would you want to hear to remind you of Earth if you were spinning further out of orbit in outer space? I guess that’s sort of what’s going on in this song and this astronaut wants to remember winter. Makes me think of Motown and Stax and Steve Cropper’s guitar as well as The Clash playing Auld Lang Syne but doesn’t actually sound like any of those. The song title leads the way really. The word ‘future’ has always had positive connotations, like when you were a kid and would say “in the future we’ll all go to work in rockets” or something. This song is a slowburn and quite calm. I would say this sounds sort of narcotic and dreamlike maybe, Northern Soul-inspired definitely and with a noisy release – my favourite song on the record I think. „Space Rock Teenage Fanclub“ someone said, I’m happy with that. The band Television inspired this song in a roundabout way and Jimmy’s riff has swagger. I like the different focus here, especially since it was all quite spontaneous and just tumbled out. It sounds a bit like an airport but also reminds me of the middle section of ‚Sunset‘ from our debut album Raise. The lyrics for this song came from reading about the Stasi and yet the song has a sunnyside-up Californian feel to it – which is where it was recorded. So that now makes me think of Kraftwerk’s Beach Boys-sounding „wir fahr’n fahr’n fahr’n auf der Autobahn“! This song title has been around since 1996 but it didn’t become a Swervedriver song until recently. It’s a reimagining of our earlier song ‚The Birds‘ really. Every now and then we do updated versions of things we like. Some songs rise up out of your control like a horse and you don’t know where they’re headed and then suddenly it changes into something else and you’re not sure you’re comfortable with it but you can’t step back from the edge. This song might be exhausting like that but I think I like it.